We make it easy for you to remain or reach sustainability with our growing list of reputable sustainable and LFF (Local Family Farm) farmers. Sign up to receive updates on what farms and products are in best buy. We understand the struggles and commitment it takes to be or become sustainable, that’s why we provide you with the knowledge and products so it’s easier for you! This list is constantly growing and changing, just like your menus, so being aware of the seasons best available product is crucial. 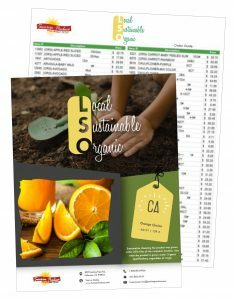 Let Sunrise Produce Company help you in your green journey!